With the launch of numerous smart gadgets and devices, photos have become an important component of data stored on any device. 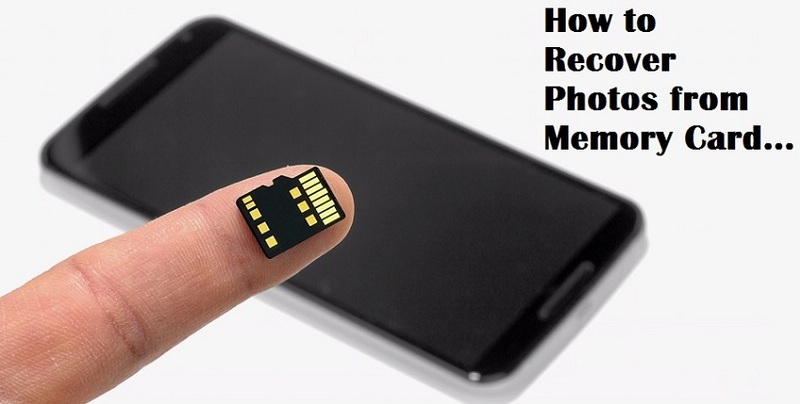 Today, if you take a look at the data stored in the memory card of your smartphone, you will find that photos occupy a considerable volume. However, given a situation where you lost the photos accidentally by formatting the SD card, the question arises as to whether they are recoverable. After facing the same scenario, I came across Stellar Phoenix Photo Recovery software that aims at recovering photos from formatted SD card. Let’s take a review of the tool to understand its functional capabilities and other perspectives. It can be downloaded and installed on the machine following a simple installation procedure which we all are familiar with. You can Free Download Stellar Phoenix Photo Recovery software latest version for macOS and Windows-powered PCs and Laptops. Stellar Phoenix Photo Recovery is quite simple to operate and offers the straightforward functional procedure. The interface of the tool is clean and defined. The self-defined recovery procedure does not demand any additional efforts from users’ end. First of all, click on the big button that says Recover Photo, Audio & Video. Here, the interesting thing is that the tool will display all integrated hard drives as well as the storage media being attached externally. Carefully select the drive letter being assigned to the formatted SD card from which the images need to be recovered. Next, make sure that the checkbox associated with Photos is checked. Next, click on the Advanced Settings option. This will take you to the Advanced Settings window. Make sure that the Supported File Format button is selected and then select the file format corresponding to the deleted images. Since the images have been formatted from the SD Card, it may not be easy to recall all the file formats. Therefore, the best alternative is to select all the common files formats such as JPEG, BMP, GIF, TIFF, PNG, PSD, Adobe EPS (Windows), PSP, etc. In such cases, it is advisable to select the file formats supported by your smartphone, digital camera, tablet, and other gadgets being used by the user. As for example, for images captured through Canon digital camera, select CR2 and CRW file formats. To recover photos captured from Sony smartphone or digital camera, select .SRF, .ARW, and .SR2. Note: Selecting all the file formats supported by the tool may make the recovery procedure time consuming, but it can be a good option if the files stored on formatted SD Card are captured on different devices. After selecting the file formats that need to be recovered, click on Scan Now button and the tool will display the preview of all recoverable data in the right pane. Click on the file to check its contents within the preview pane. Select the files by clicking the checkboxes and then click on Recover button. Then save the recovered file by specifying the storage location. The recovery process is completed! This is when the tool worked beyond expectation as it successfully performed recovery on the latest Class 10 SDHC card. The card was formatted accidentally and the tool helped recover and restore about 9GB of images being deleted from the card. While performing a recovery on quite an older version of memory cards, the tool worked simply as expected. It recovered almost all the image files and video contents from the formatted SanDisk 16GB Class 4 and restored them in the original structure. In short, it can be calculated that the tool supports all latest as well as older types of SD cards and recovers all possible data. As you can see, recovery of images is performed on the different category of SD cards from different brands, but the tool worked flawlessly. While executing the recovery, there are several process benefits and drawbacks being found in the functionality of Stellar Phoenix Photo Recovery software. Availability of Demo Version: Apart from the above-mentioned list of benefits, one remarkable advantage is the availability of the free version that makes it possible to test the functional criteria without investing on the tool. After complete satisfaction, the demo version of the tool can be activated by contacting the sales department. Different payment gateways are available to help users make hassle-free transactions. 24x7 Free Tech Support: Round the clock technical support and assistance is available for free. This makes it easier to explore all the features and functions of the tool and in case anything goes wrong, it can be resolved with immediacy through Technical Support. Technical Support is provided via phone, email and live chat. Online informational resources are also available in the form of User Manuals and Knowledge Base sections on its official website. Note: The duration that the tool takes to fetch the entire data from the SD Card solely depends upon the storage capacity and the volume of data to be recovered. Here, it is important to note that there are no typical inconsistencies found in the product while recovering data from formatted SD card. The cons mentioned in the above section can be compromised when an efficient utility is available at such a nominal price. After testing all the features of Stellar Phoenix Photo Recovery software on Windows machine, it can be concluded that it is one of the best photo recovery tools available in the market. The speed and performance parameters are excellent and its extensive recovery features make it a scalable product available, and, that too, at a reasonable price. The tool is very comprehensive which not only allows recovering images from SD card or any other internal and external storage media but also provides the facility to backup data. After performing the recovery, the recovered data can be replicated using Create Image option for preventing data loss in future.